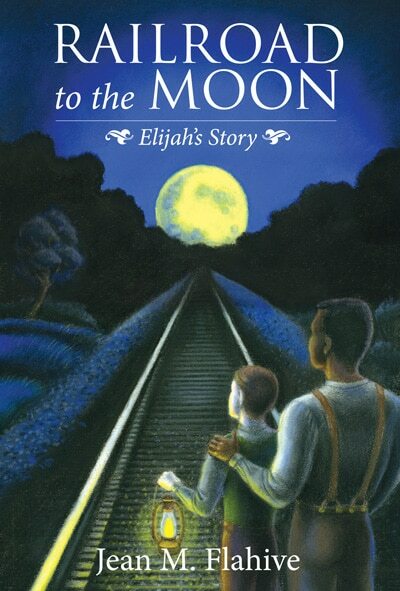 Trapped between new-found freedom and a promise, runaway slave Elijah is led by hands both seen and unseen to a destiny of which he could only dream. Elijah has been living with the Laird family on a small farm in Maine. The family continues to grieve their soldier son, Billy. In their run north together, Billy had exacted a promise from Elijah, to take his place, to be a big brother to ten-year-old Jamie. Now, Jamie’s ability to heal hinges on his attachment to Elijah. At the close of the Civil War, Elijah insists on going to his southern homeland to look for his father. Jamie is despondent, but Elijah pledges to return. His journey to the South leads him to adventure, danger, and love. Weaving historical realities into a work of fiction, this is a tale of friendship, loyalty, and a solemn promise. JEAN M. FLAHIVE, who has had a lifelong interest in the Civil War and Maine history, teaches college classes, has served as a dean of students at a community college, and has worked as a grant writer for numerous nonprofits. She’s the author of Billy Boy, the Sunday Soldier of the 17th Maine, co-author of Remember Me, Tomah Joseph’s Gift to Franklin Roosevelt, which won the Moonbeam Gold Award for Best Multi-Cultural Children’s Picture Book in 2009, and co-author of the children’s book The Galloping Horses of Willowbrook, which was named a finalist in the 2012 Maine Literary Awards.